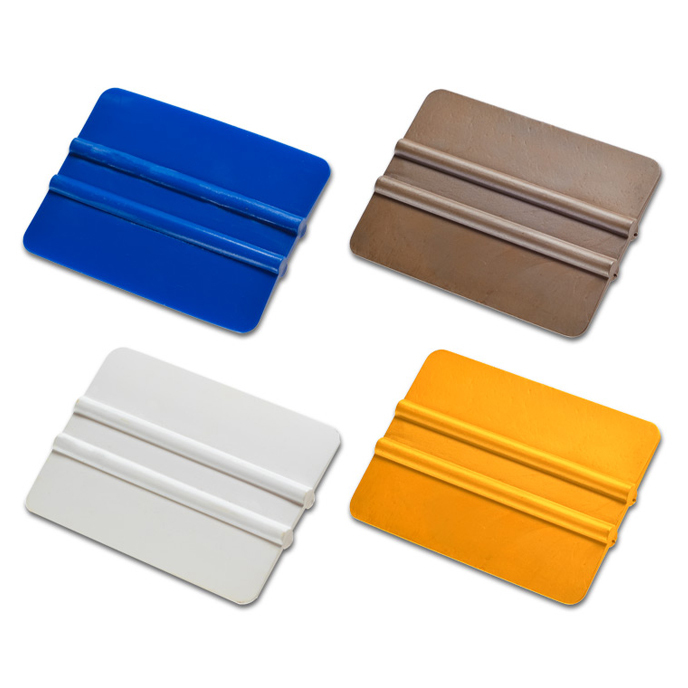 Bump card, bondo card, vinyl applicators – whatever you call them, our bump card squeegee is one of your most versatile tools for pushing out moisture from all types of film, vinyl graphics or PPF installations. Many installers use a bump card for pushing out trapped mounting solution or performing that critical job of “bumping” the film’s edge. Regardless of your use application, Pro Tools Now bump cards are made with high quality materials, and designed with two parallel ridges or bumps down the center to give you a secure, slip–resistant grip. Also, all Pro Tools Now bump card squeegees have gently rounded corners to prevent scratches. Pro Tools Now bump cards are available in a variety of different flex ratings, so there’s a version for every installation. You’ll want to have them all on hand to meet any job.